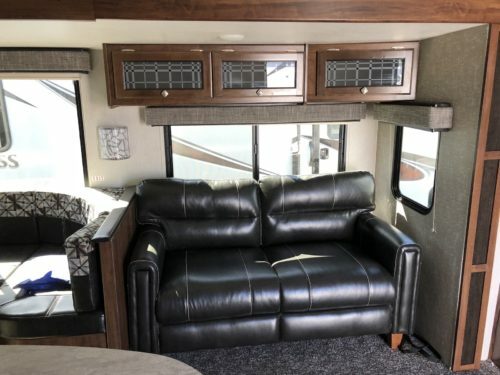 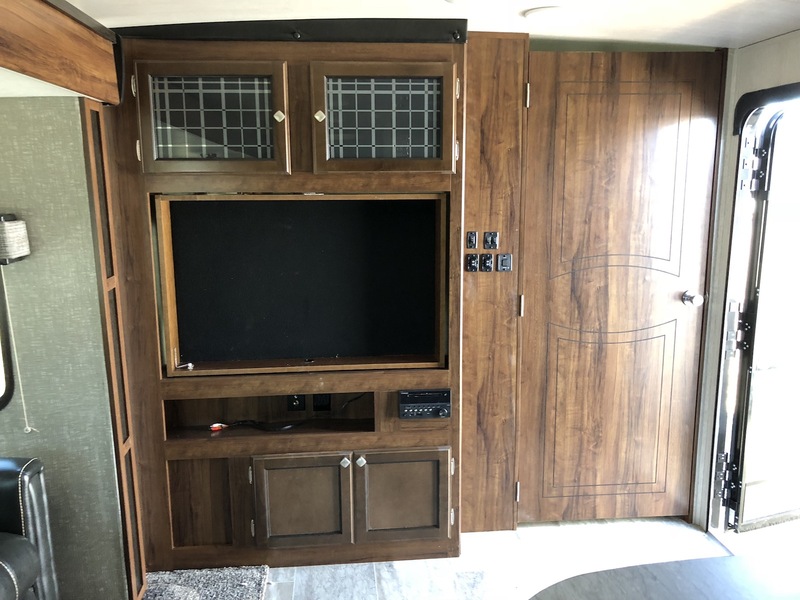 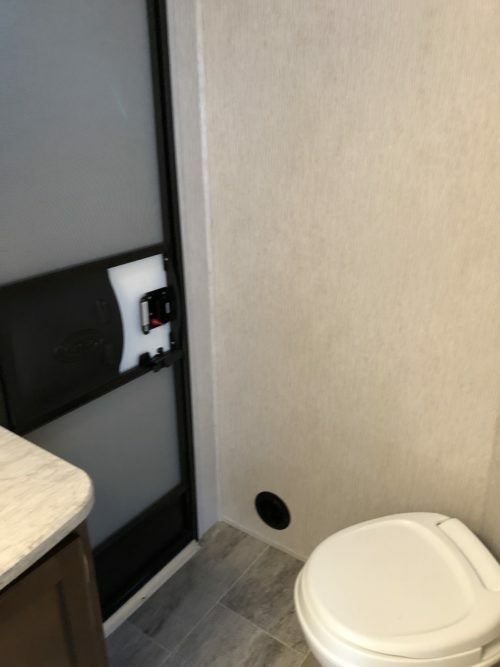 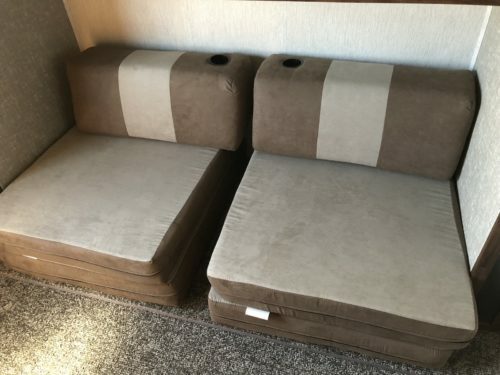 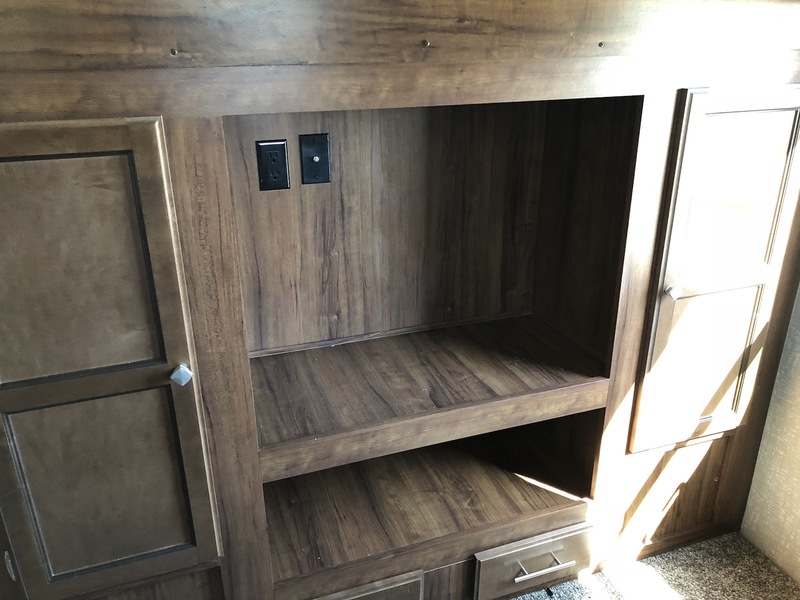 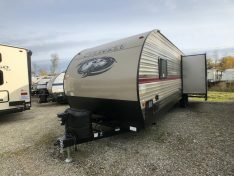 This triple slide out, island kitchen Bunk Room Travel Trailer has all the amenities to your looking for in a camper. 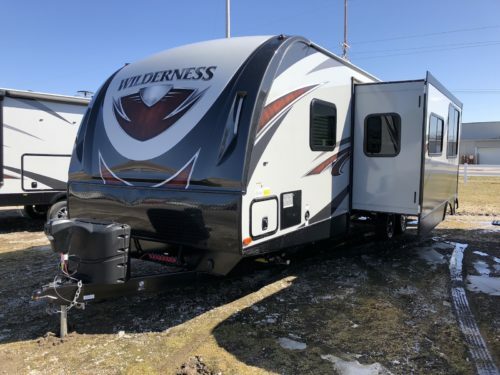 The 3250BS by Heartland Wilderness is a 4 season, all aluminum built travel trailer. When you enter the 3250BS you will first notice the roomie space with the opposing slide outs opening up the kitchen and living space. 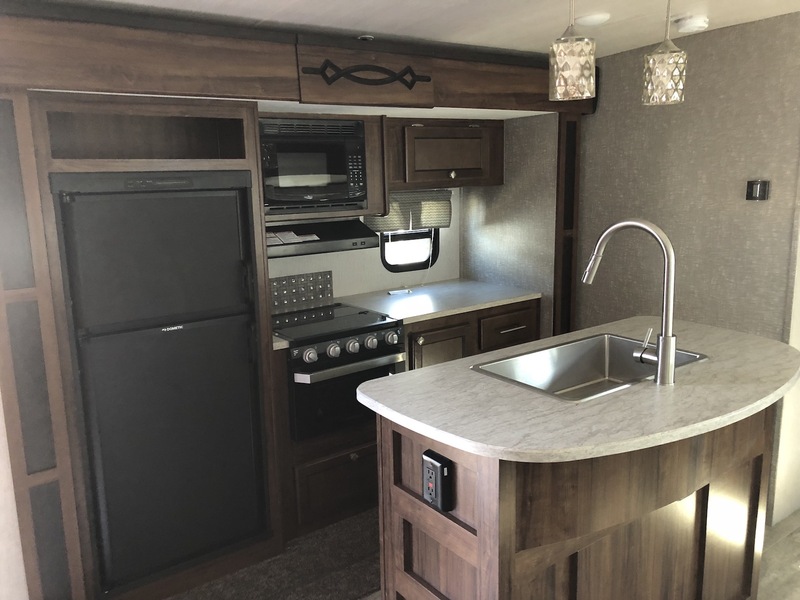 The Main slide out offers a u-shape dinette and a sofa hide-a-bed, across from that is the kitchen island with sink. The kitchen is equipped with a gas/electric refrigerator, 3 burner cooktop and oven. 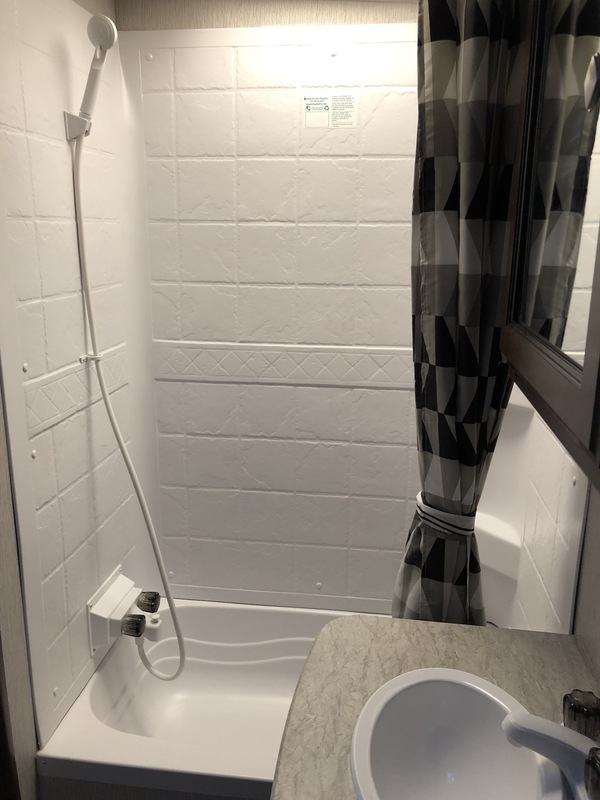 The bathroom sits next to the bunk room with a second outside entry door, shower/tub, and toilet. 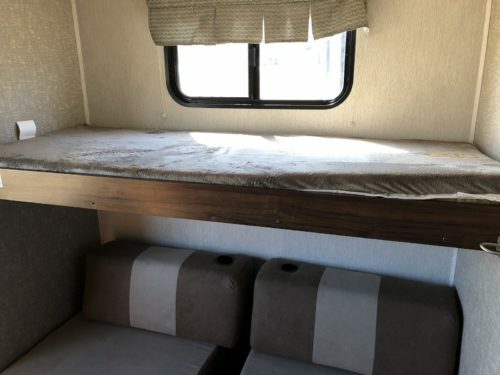 In the back of the 3250BS sits the privet bunk room with a slide out and sleeping for 4. 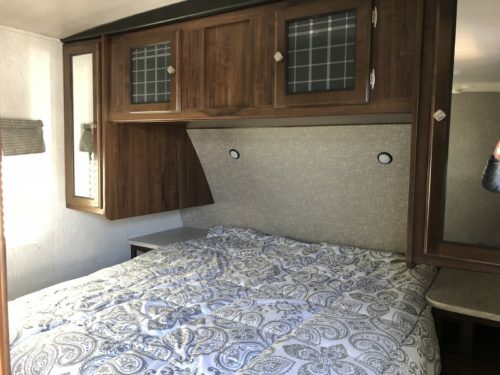 The master bedroom is on the opposite side of the wilderness with a queen size walk around bed. 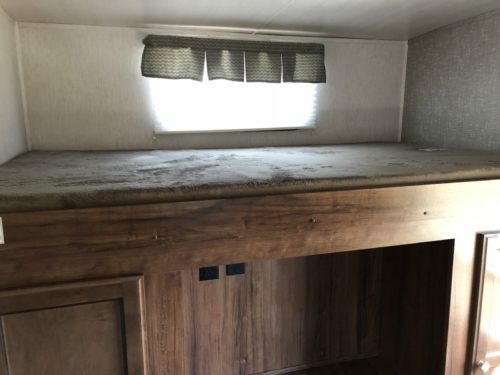 On the outside of this Bunk Room wilderness, you will notice the full outside kitchen, with a refrigerator, gas grill, sink, and TV, along with a power awning with LED lights. 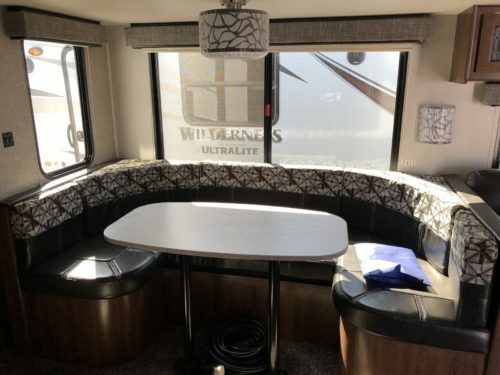 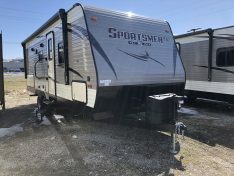 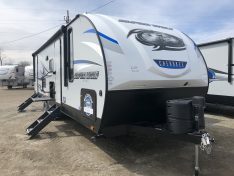 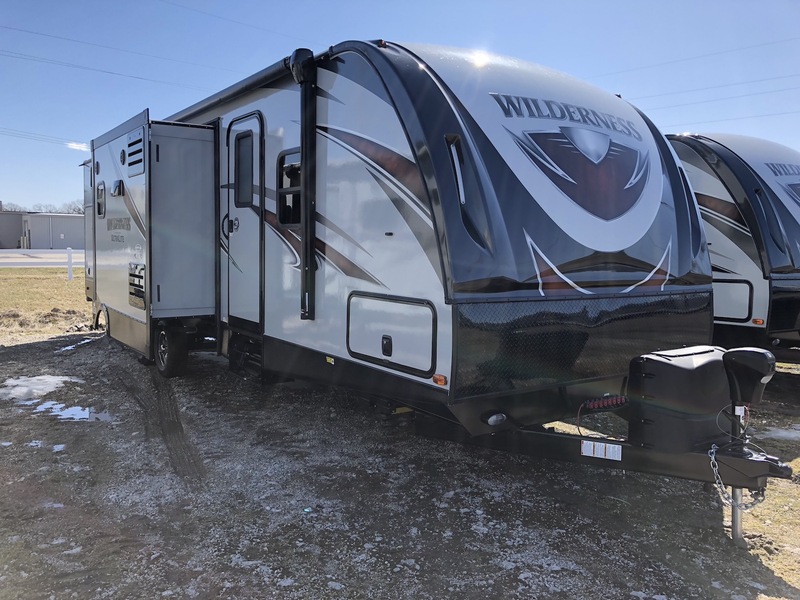 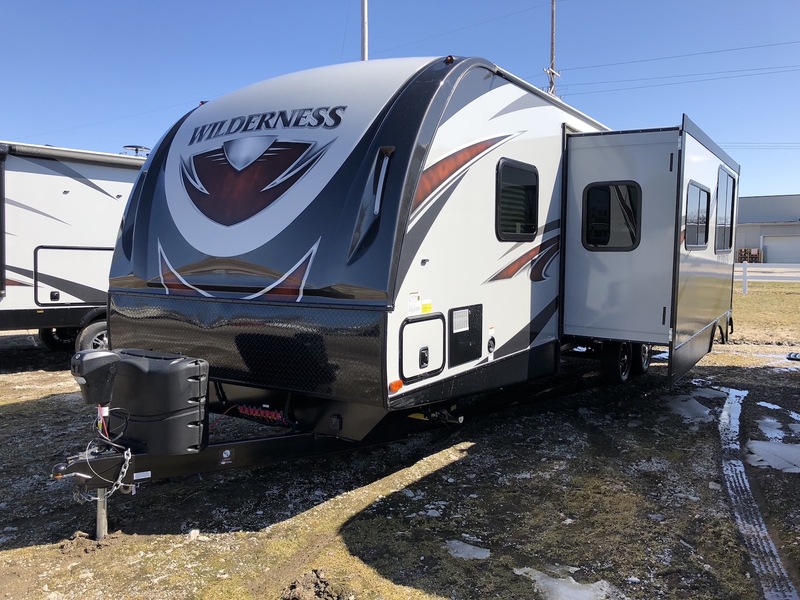 The Wilderness 3250BS has all the options your looking for to enjoy camping to the fullest any time of the year!